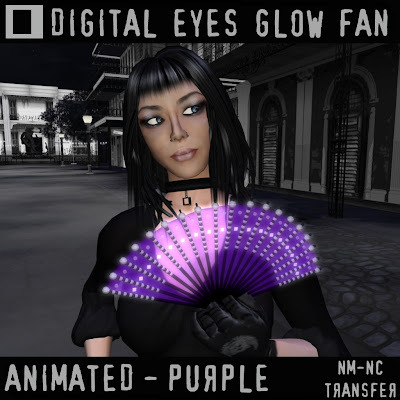 Windlight has this a glowing option that Digital Eyes has decided to integrate in their refreshing Animated Fans. Because yes! Better have a glowing fashion accessory than a glowing face!